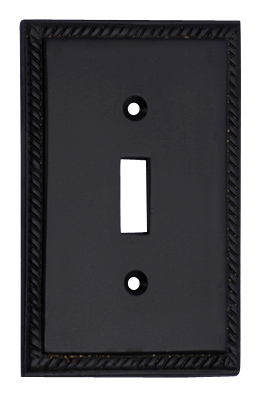 5 Inch Solid Brass Georgian Roped Switch Plate or Wall Plate (Oil Rubbed Bronze Finish) - measures 5 inches long and 3 1/4 inches wide. Comes complete with mounting hardware. Available in three finishes and 11 configurations.